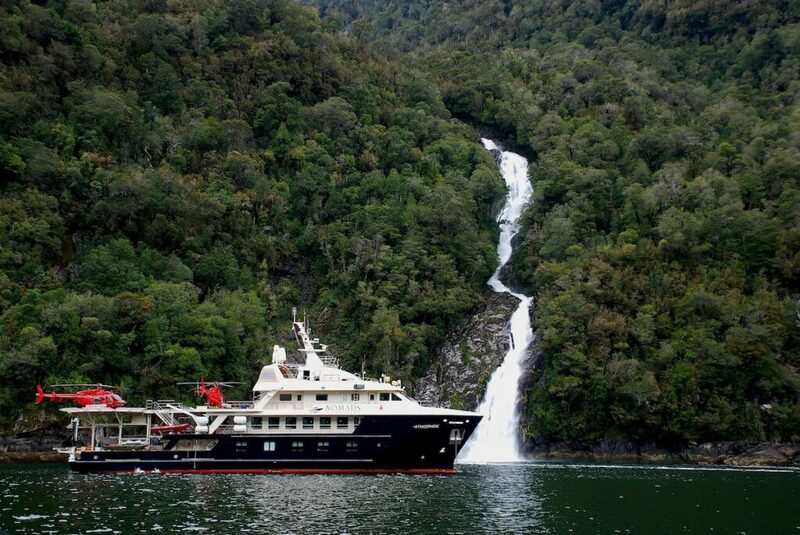 Fly from Santiago to Puerto Montt, Chile (1 hour 45 mins), where on arrival you will be driven to the port to board a state-of-the-art expedition yacht. 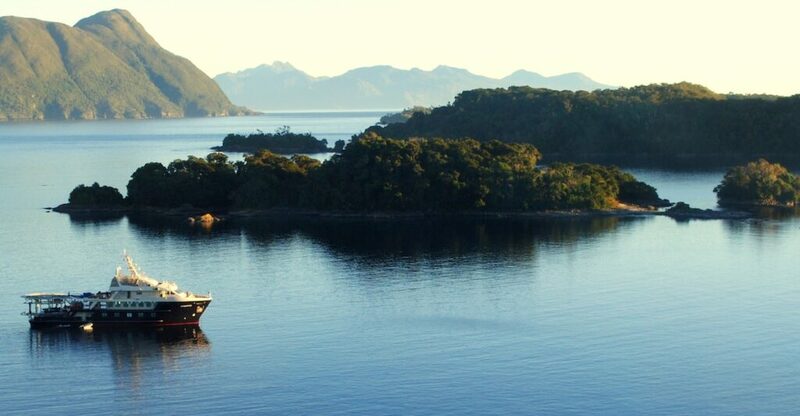 The Atmosphere has been recently refurbished with 14 cabins (sleeping up to 28 guests), and built exclusively to explore the boundless wilderness of Southern Chile’s fjords. 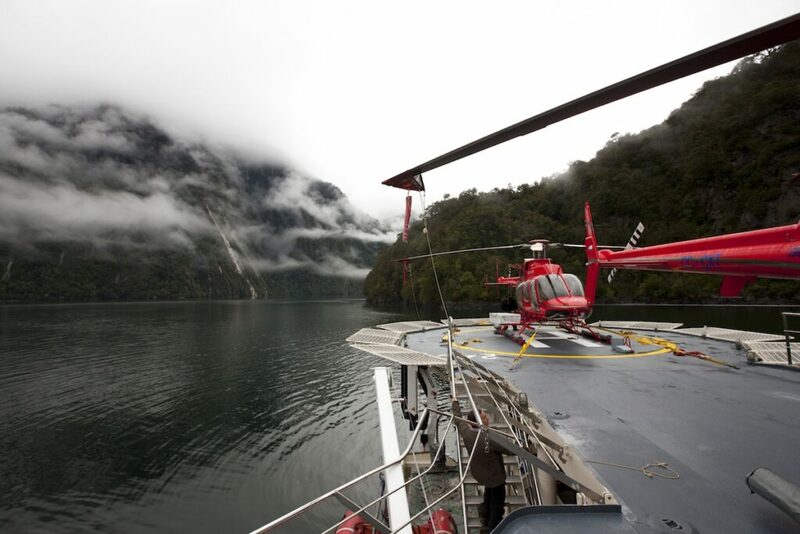 Equipped with 2 helicopters, custom jet boats and more than 80 water toys, Atmosphere provides a unique opportunity to explore Patagonia by air, land and water, reaching the most pristine and remote corners of the Andes for superb fly-fishing (Nov-Mar) and heli-skiing (Sept-Nov). 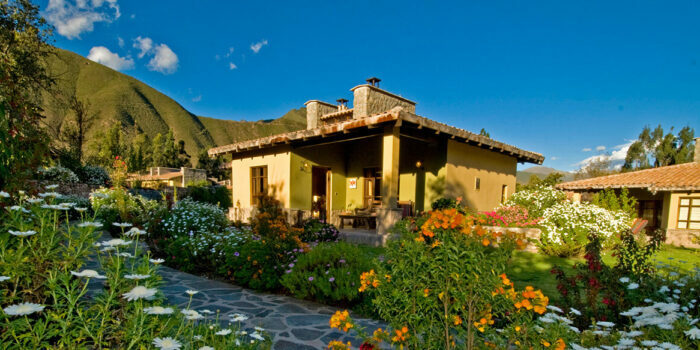 Settle into your cabin before enjoying a welcome dinner of world-class cuisine & Chilean wine. After a delicious breakfast, board the Bell 407 helicopter to explore the area from the skies, soaring over thick vegetation and crossing stunning mountain peaks. 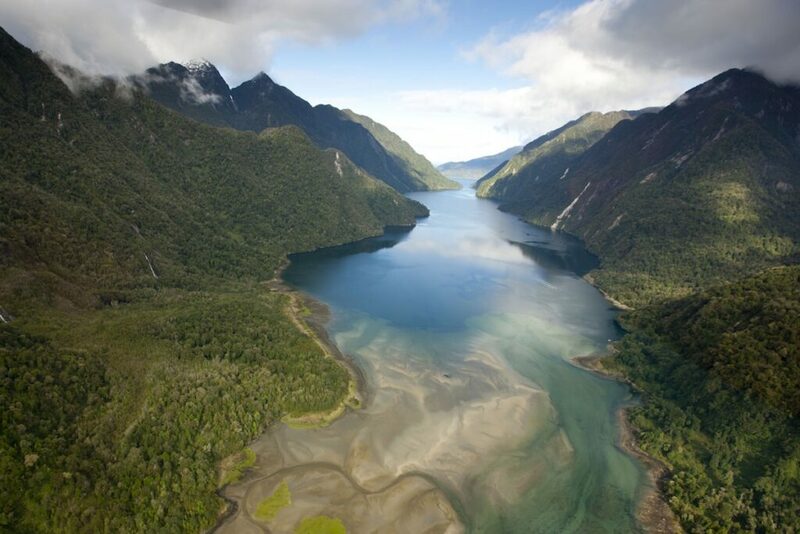 A fleet of McKenzie boats and jet boats have been strategically placed for fishing adventures in deeper territory, allowing guests to penetrate the most secluded rivers and lagoons. Anglers have the opportunity to fish with a variety of expert guides throughout the week. 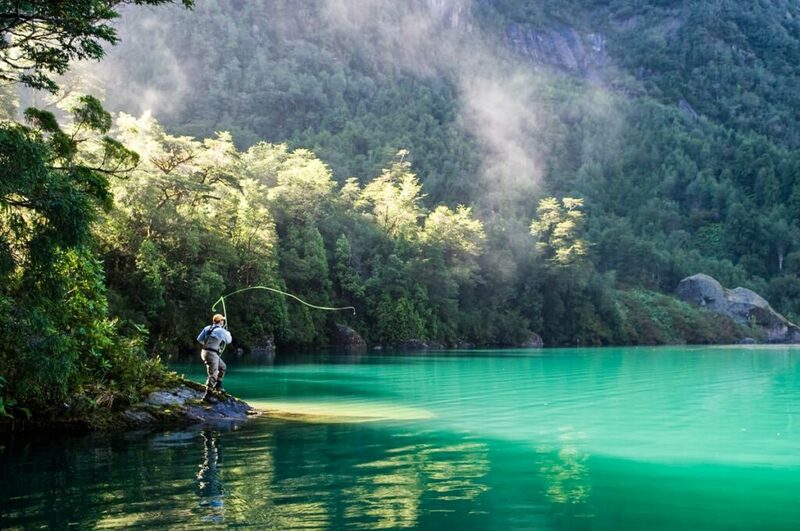 Drop a line, taking in Patagonia’s breathtaking scenery and the sounds of undisturbed nature. At lunchtime, indulge in a gourmet picnic on the riverbank or in your zodiac, then return to the ship for sundowners on the deck and a dip in the hot tub before dinner. 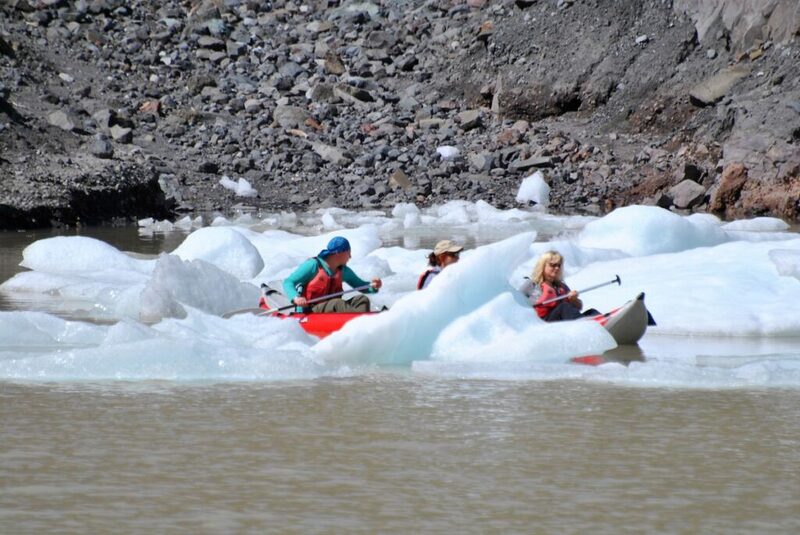 Along with fly-fishing and heli-skiing, this expedition provides endless opportunities for a variety of soft-adventures, and each day’s excursions are completely flexible (weather dependent). Explore the virgin shores of the fjords by boat, kayak down peaceful tributaries, or hike up into the mountains through verdant forests. 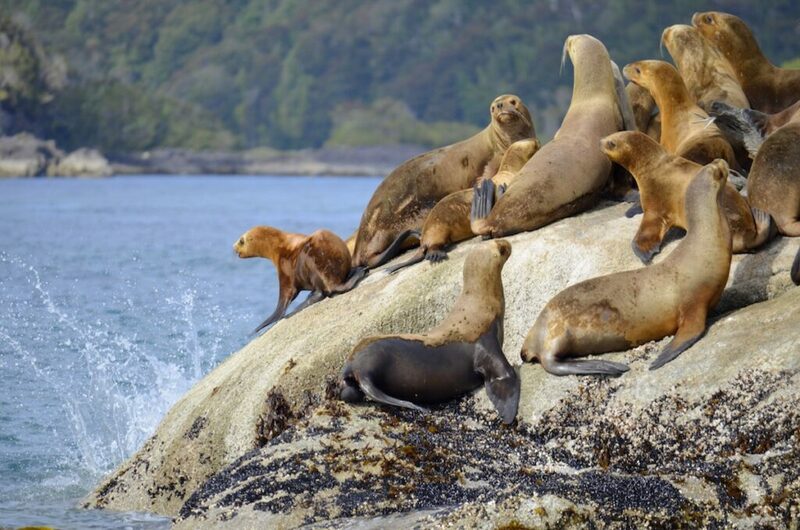 The diversity of wildlife in the region is incredible, offering the perfect environment for bird-watching and nature photography, with new areas to explore each day as the ship journeys south. Wake to incredible new scenery each day – Atmosphere covers over 926km over the course of the expedition. 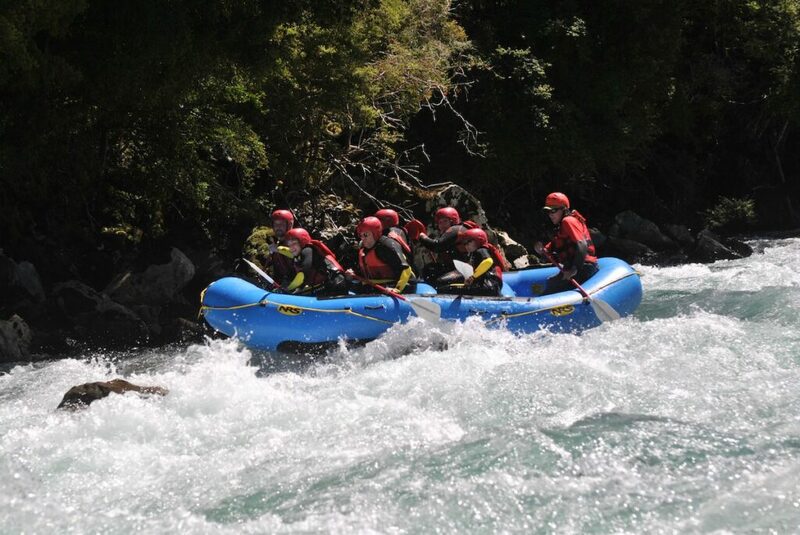 This morning, journey to a river with wild rapids for a day of adrenalin-charged adventure out on the water. 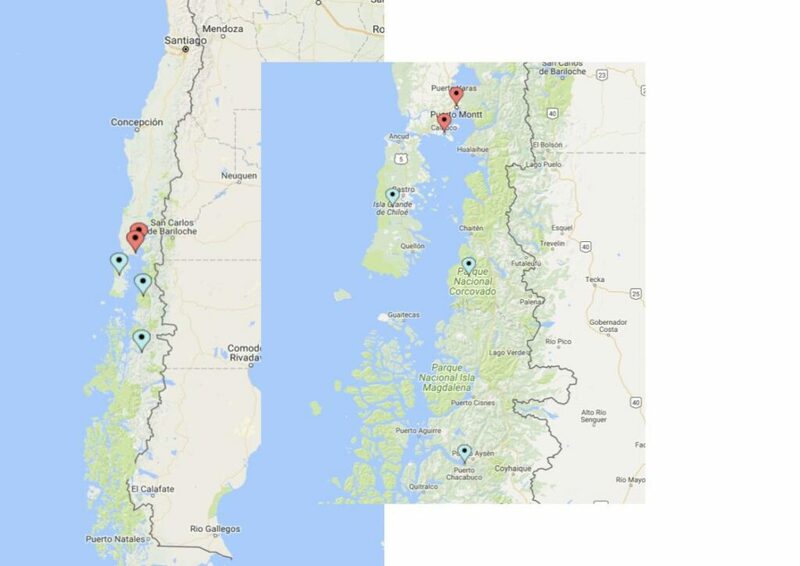 Specialist guides will teach you white-water rafting, hidro-speeding and jet-boating as you explore crystal clear Patagonian waters – much of this region is inaccessible to other boats. A gourmet picnic will be waiting for you on the riverbank. 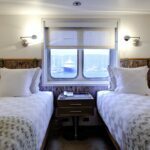 In the afternoon, either continue playing in the river and making the most of the water toys, or enjoy a peaceful snooze on the riverbank before returning to the ship with plenty of time to freshen up before dinner. From Nov-March, the mountains offer fantastic trekking and biking. 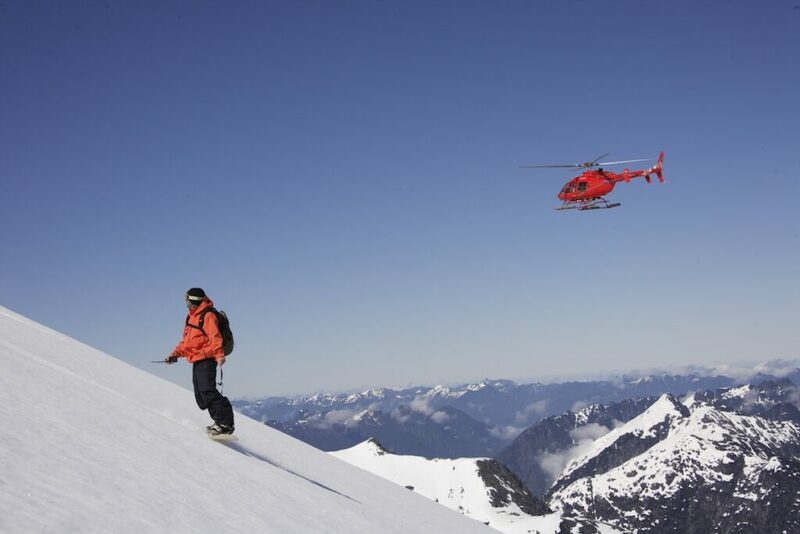 For those able to travel on earlier expedition departures from Sept-Nov, conditions for heli-skiing are perfect. 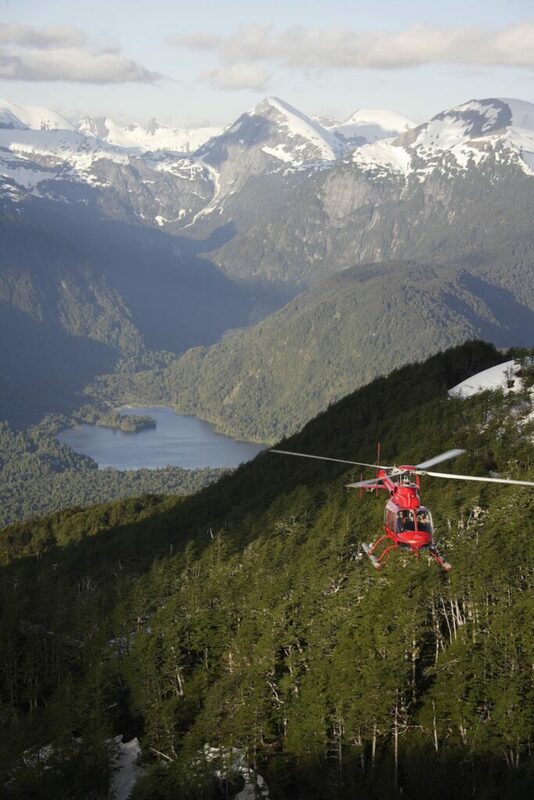 Board the helicopter for an adventure in the high peaks of the Andes. Specialist guides have already tested the sites for accessibility, level of difficulty and quality of descent. Ski down virgin snow on the southernmost mountains on the planet, with panoramic views over glaciers and fjords. After an exhilarating day above the clouds, return to the warm refuge of Atmosphere, with plenty of time to relax in the spacious lounge and mingle with other guests in the bar. 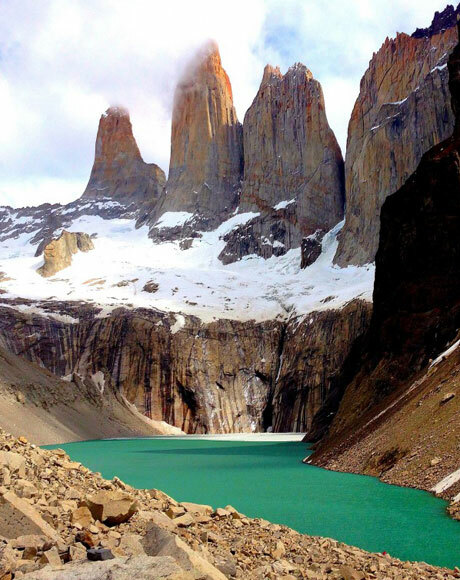 Replenish your energy with a sauna, massage or leisurely soak in the hot tubs, looking out across the Patagonian wilderness with a cocktail in hand. Rise to a view of the Auchemó Bay’s amazing natural scenery: the Puntiagudo volcano, home to sparkling glaciers, and the snow-white peaks of the beautiful Andes Mountain Range. 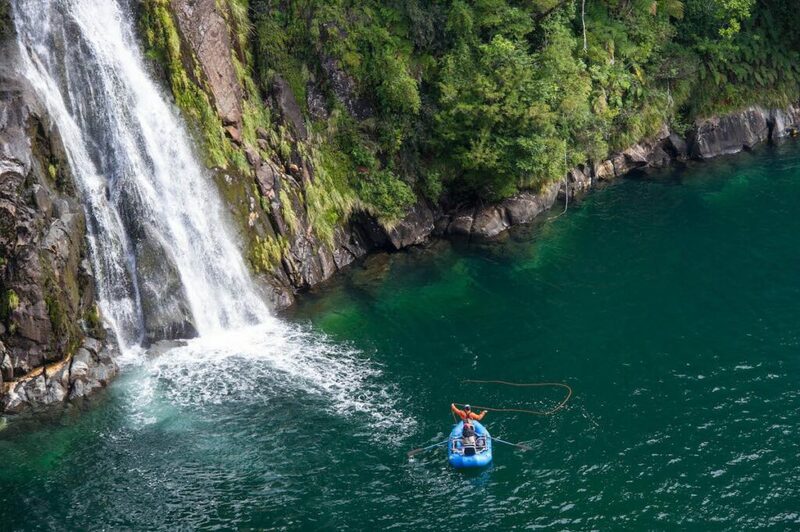 This morning, heli-kayak through the Corcovado River with a chance of paddling next to endemic dolphins and sea lions. Stop for a delicious picnic lunch before trekking on to reach a secluded lagoon, abounding in birdlife. 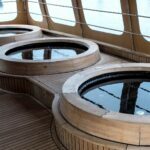 Wine-tasting awaits you back on board (arranged daily by the crew for guests to sample lesser-known Chilean fine wines), followed by a gourmet dinner as you reminisce over the incredible sightings from your day’s adventures. Spend your final full day as you desire, making the most of your surroundings and the expertise of the ship’s specialist guides. Take a zodiac ride to a secluded part of the river to while away the day with some tranquil fly-fishing. Due to the region’s exceptional conditions, trophy catches aren’t hard to come by! 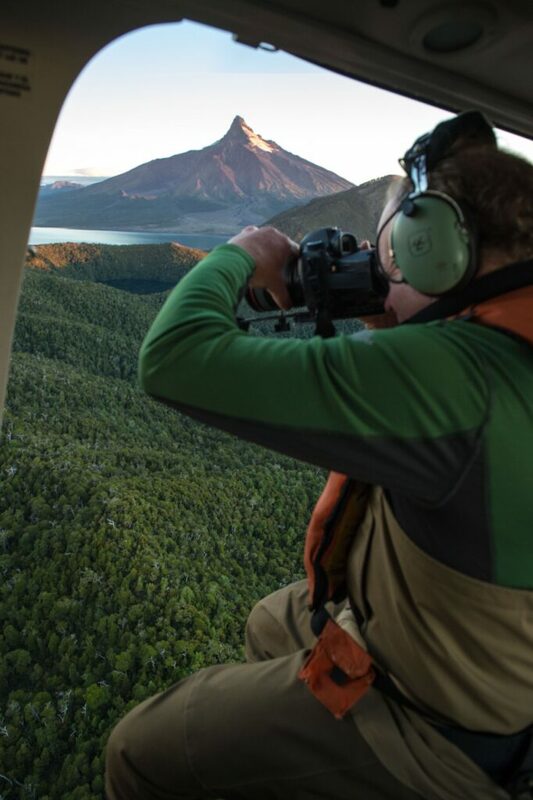 Before sunset, take a helicopter ride over pure waters towards Chaiten to glimpse the recently active volcano, soaring over the fjords and drinking in sensational scenery on your final Patagonian fly-by. 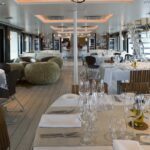 Enjoy a celebratory farewell dinner with your friends on board. Disembark Atmosphere today in good time for your private transfer back to the airport to catch your onward flight.